Beautiful, creative Amber Warren and handsome, dependable Jesse Nelson have been best friends since grade school. Jesse’s strength and reliable spirit draws Amber, but can she trust a man with her heart after being jilted by her fiancé? A strong and self-reliant woman, Amber discovers she will need someone to help her after unexpected news from her parents upends her world. Will Jesse meet the demands of his work and still step up to be the rock she can lean on? An unlikely source will help Amber conquer the menacing and paralyzing fear gripping her heart. In the midst of a devastating disaster she pulls from deep within her being the courage to look fear in the eye to save the one she loves. This charming, sweet novella is a perfect addition to Fuson’s growing repertoire of both contemporary and historical tales set generally in her stomping grounds of the western US and Colorado. Amber’s fiancé wanted more of the world than he was willing to share and ditched her for the opportunity to work in Paris. I might have wondered why Amber wouldn’t jump at Paris until I realized Mr. Wrong didn’t bother to spend much time discussing it, and neither was Amber’s heartstrings too firmly attached to the cad. 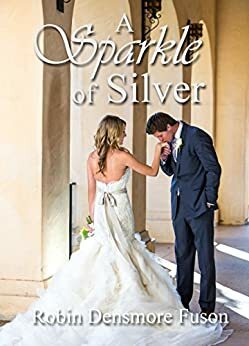 Better opportunities were right under her nose, and it took only a little persuading to open her eyes to the good thing waiting just for her. I loved it when she realized just how interwoven Jesse’s life was with hers when he knew his way around the family kitchen. Conquering challenges and rising above the hurt others put on them show Amber and Jesse how strong they are together. Add in Miss Purrfect, the darling antique store cat, and we’ve got a very fun read. Highly recommended for those who like their clean romance in bite-size chunks. In A Sparkle of Silver, Purrfect is the sweet store cat. The antique store where she reigns supreme is named Preowned Perfection. So, Purrfect got her name. She is a pure white cat with green eyes. For the most part she doesn’t interact with patrons but occasionally she can’t help herself. She might follow a customer through the store but not in a typical fashion. She loves to roam the mock or staged rooms along the top of the partial walls that are a whopping ten feet tall with a span of another six feet above that. The cat is a great mouser and yet doesn’t displace breakables off the shelves. Purrfect is a good judge of character which we find out in the pages of the story. Tell us about your motivation to write the story, Robin. What do you love about it? This book was fun to write for a variety of reasons. I love antique stores. Finding the right wedding ring set was tons of fun. Writing a story where Colorado is the backdrop is a delight because It’s my home. I identify with the character, Amber. She dresses nicely even to go to the grocery store which is what I typically do. She loves antiques and working with her hands. She is strong but doesn’t always give herself credit for being so. Amber has a deep fear that she has to work through. Don’t we all struggle at some point in our lives with fear? Her handsome sweetheart, Jesse, is a good fit for her. Attentive to her needs and strong both emotionally and physically he helps her through encouragement and lending a hand when she asks. He is purposeful and yet can be spontaneous. Nice! I agree! Can you share a couple of things you learned while working on this book? I spent hours delving into research on antiques that still pop up on the ads on my computer. For instance, Amber bids on and purchases an antique cuckoo clock. I pulled up a picture of the clock to make the description in the book. I’ve been to auctions in the area, so I could write that into my story through my experience. The store where she works is similar to ones I walked through on Broadway in Denver. I added a warehouse and attached a house for her to live. Something that I had not known before was, for a price, you can have a new piece of furniture or knickknack made that appears like the original antique. I also learned that help to overcome fear can come from an unsuspecting place and love will be the necessary strength it will take to conquer that fear. What’s next for you, Robin? Right now, I’m writing a historical mystery novella, Gamble on Fate, set in Colorado Territory of 1886 in Colorado City near present day Colorado Springs with a Pinkerton investigator. Also, for a few years, I’ve been working on a contemporary cozy mystery novel, The Race of Her Heart, that is set in Durango, Colorado. In this story, a ski Olympian has an accident, dashing her hopes and dreams. The tumble down the mountain was caused by someone tampering with the bindings of her skis. The saboteur is not satisfied with only the limp caused from the fall and the threats keep coming. Oh my goodness! I can’t wait to read them. Thank you, Robin. Robin lives in Rifle, Colorado with her husband Jimmy. Together, they celebrate with seventeen grandchildren. 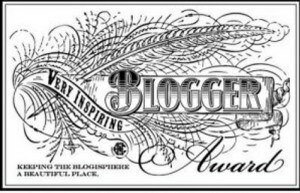 An award winner for romance and flash fiction, Robin is multi-published and writes stories on her blog for children. Robin is a member of ACFW, Vice President of ACFW Colorado Western Slope, and member of John316 Marketing Network. 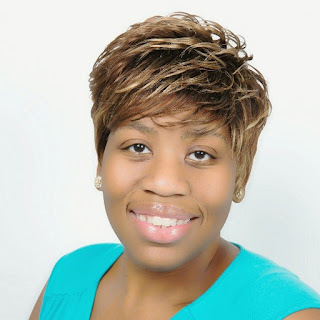 She enjoys leading a Bible study group and singing in two community choirs. Robin loves company and challenging her young guests to discover the many giraffes in the obvious and hidden nooks and crannies of their home. Seat of the Pants writers (pantsers) tend to shudder at the idea of plotting a novel. 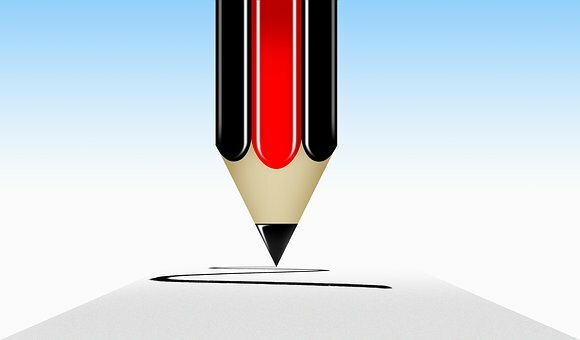 Plotter writers (plotters) can’t imagine staring a blank sheet of paper to start a novel, short story, biography, self-help book, or even an article. It doesn’t have to be an either/or approach. Honestly. Don’t! Don’t think of it as plotting. Think of it as strategy. Even pantsers have an inkling of story arc even if they sometimes refuse to admit it. You might have a character’s name in mind, maybe a title, probably even a very basic idea of story, even if you don’t know where you want to go. I have let my characters direct certain scenes, too. That’s why flexibility is key. Just because you make notes, or even have an idea of how this story will work it, you don’t have to follow it exactly. And maybe that’s why it’s hard to think of spending time on developing ideas you won’t use. Hey—it’s a whole lot easier not using some scenes or dialog bits than unraveling a whole book when you realize one of the threads is implausible or you’re missing elements of a subplot or character traits, or a mixed up timeline screws the denouement, which you don’t see until you think you’ve completed the initial manuscript. Here are five points in favor of planning your book first. This concept applies to non-fiction and short articles or fiction as well. Secret—there are really only two reasons why planning a story first is helpful. Return on Investment. Artists can never charge billable hours like certain professionals. Yes, hand-sewn quilts or Navajo rug weaving is on par with brain surgery, but try selling your quilt for $100,000, let alone charge money for five years of your life invested in publishing your book. You only make that kind of cash after you’re dead, unless you chance into the golden opportunity of meeting the right person looking for your work at the right moment in time. Most advances even for major authors are much less, and they have to be earned out before you make any more money. That’s selling a lot of books at 8 percent net cost, out of which your agent gets a cut. So, how can you up the return (sale of finished book) on the investment (time writing and marketing)? By writing and publishing smart. Another riff on writing efficiently: sure, there are times when the story just changes; it just does and you toss what you’ve done. But let’s come up with a good plan to begin with, one that works but allows for some meandering of the character development or storyline. You write it once, then spend time on quality revision and editing, and then drop it in the mail instead of wasting time trying to follow and rewrite threads that went against the weave when you forgot that Christmas is in summer in South America, or that ocean currents don’t flow that direction, or you didn’t figure in leap year and thus your storyline is moot. Rewriting hardly ever involves “just that section,” but ends up cascading into a giant wreck. Surprise! When you have something written on the page like an outline or a synopsis to look at, it is much easier to return to the scene of the kidnapped loop you didn’t see coming. It’s totally okay if your people zigged instead of zagged, but now you can see the effects and find the places to adjust to meet the storyline adaption. So, your protag or number one sidekick is pregnant? Wow, missed that one in the synopsis. That means that over the course of the pregnancy certain things happen that will probably affect the story, no matter where this little bump figures into the plot. Go back to your outline and plug it in, then find and adjust the areas that need to be tweaked. You probably don’t want to hear this, but if you’re a professional, maybe even file as a business or plan to, being an author is your JOB. It’s work. Yes, it’s work that involves a lot of daydreaming, but daydreaming with a purpose. You may not be able to go to work from 9:00 to 4:00 every day. Instead you have to give that talk, prepare for a workshop, or field trip research. You end up working at midnight or dawn. It’s still your job, and you do it whether you feel the muse or not. Do it well. Your boss is your audience and your bank account. If you don’t believe in plot, then this point is not going to mean much to you. But if you’re a professional, you have studied why classics are classics, and the difference between the author who might have published 80 books, 30 of them on the New York Times bestseller list, but 90% of them are out of print—including the one that’s about to be made into a major motion picture. There are no new stories—only fresh new ways of telling them. Get over it. Hello! 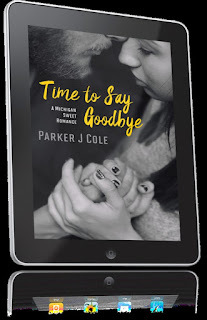 This is one of my tour stops during my one month book tour for Time to Say Goodbye by Parker J. Cole. This virtual book tour is organized by Write Now Literary Book Tours. This tour runs March 5-30, 2018. Follow the tour here. Book your own tour here WNL. Gargi Kapoor is the only one convinced her brother, Dev, is innocent of the crime he was convicted of. When he is sent to the hospital with an unexplained paralyzing disease she finds herself having to lean on the last person she'd ever want to depend on -- a man who wants her brother to pay for stealing his mother's life savings. Leon Reckley is extremely satisfied to find the man who ripped his mother off suffering from an unknown disease that leaves him paralyzed and in need of rehabilitation therapeutic services. He's even happier when he is given the opportunity to be the therapist that makes him fit enough to return to prison to finish his sentence. No one will work harder to make sure Dev Kapoor serves every minute of his prison sentence. Gargi never dreamed the man who has utter contempt for her brother would be the man she slowly begins to trust. Leon never thought he'd be convinced Dev might be innocent, let alone be drawn to his enemy's little sister. Together, will they find the truth? Or when Leon's job is over, will it simply be time to say goodbye? It's really a shock to me that I would write Christian fiction. Really it is. I didn't know Christian fiction existed until about 2000 or so when I happened across a store called Family Christian Stores. I went in there and saw all of these lovely books and was hooked. My earliest memories are of books and writing. I always knew this is what I would do. I just never thought I'd be a Christian writer or a writer who is Christian. I grew up reading Stephen King and then when I was fourteen, I discovered my first Harlequin book under my cousin's bed that summer and got hooked onto romance. So my first loves are horror and romance. Go figure. When I began to take my writing seriously, I had been let go at my job back in 2010. Now I had time on my hands. I saw the computer with my manuscript I'd let linger for ten years from the time I was 18 years old and I decided to get in published no matter what. My first book, Dark Cherub, can be classified as Christian horror. (Thanks Stevie!) It changed everything for me. I mean, everything. I worked on my first romance series, called Sins of the Flesh and that also changed things for me. I started to do podcasting, and now I am the owner of the new PJC Media, an online broadcasting company. Yet the love of the written word is still in my veins. I host Christian authors worldwide on my shows. Been doing it for three years. Over the years, I've become something of diplomat. The body of Christ is already so divided by denominations and the like. I don't want to add to that unnecessarily. I don't mind standing up for core biblical truths but when it comes to secondary, non-essentials, I don't get too worked up over it. I love helping Christian authors get the word out about their works. If you want to be showcased on my show, simply email me at writestuffradio at gmail dot com. I'd be glad to have you. · What type of jobs or careers have you worked in the past? My next job I worked a clerical position in a different department at the same financial institution. Here, I worked with new construction homes and vendors. As I grew in the position, I interacted more with our vendors and handled correspondence. After my stint here, I worked as a administrative support for three officers. In this capacity, the work became more sensitive as I dealt with a lot of confidential information. Then this weird looking guy grabbed my heart and ran with it. He put a ring on my finger in front of God and everyone else at church. We jumped the broom. I worked in insurance and securities. Also, in a clerical capacity but dealing data entry. It was the most stressful position I’d been in relating but I connected with really interesting people there. I learned a lot about insurance, why it was necessary. I learned about saving money for retirement and all of that. When I left that job, I started my own business as a virtual assistant. I’d realize that over the years, I had accumulated a lot of administrative knowledge that I could take to other small businesses. Blew my mind. However, I ended up giving this business to my mom. She’s done wonders with it. I realized that although I’d been in administrative and clerical capacity for so long, it was not my passion. Where I work at now, I’m work with managing accounts. When I first started there, I did more clerical work at first. I was the receptionist too. But when I received a promotion, I found myself managing accounts and working with clients and vendors. I am learning to delegate and take ownership of problems. It’s not sales but relationship management. I find myself pretty good at it, too. Maybe it’s because while I had worked all those clerical jobs, over time, I learned how to work with all sorts of people – from easygoing co-workers to insensitive managers to irritated customers. Plus, I’d been in the financial industry for a long while and those other skills and experiences have come in handy. · Who are your favorite authors? I have too many to be honest. I couldn’t do justice and try to name them all. · What are your favorite books? · When did you begin to realize you wanted to write? I’ve always wanted to write since I was a young child. It’s been my constant friend and my teddy bear! · Tell us about your journey to publication. I met my agent Vanessa Grossett through a friend of mine. She accepted my work which is a big deal as most agents do not take on unpublished authors. We submitted by book, Many Strange Women, to dozens of publishers. Each rejection hurt like a knife but then my publisher eLectio bought my book and the rest is history! · Are you a full-time writer? If so, describe your day? I’m not a full time writer but I write all the time. At work, after work, during work, on break. I do my best to make time to write. I try to set my goal for 500 words a day. Hello! This is one of my tour stops during my one month book tour for Get Me Through by Cedric Nelms. This virtual book tour is organized by Write Now Literary Book Tours. This tour runs March 5-30, 2018. Follow the tour here. Book your own tour here WNL. Cedric Nelms was born and raised in Los Angeles, CA. He graduated from St. Bernard High in Playa Del Rey, CA. He attended Morehouse College, where he majored in Biology, with a minor in Psychology. Cedric has been in the ministry for 18 years and has been working in different areas of ministry, from youth ministry, men’s ministry, teaching, community development, social justice, and civic engagement. He was also the radio host of the Chosen Generation Ministry Radio Show, an internet program/podcast that deals with the intersection of culture, life, and faith. He is the lead pastor of Chosen Generation Fellowship Church, in Long Beach. In addition to that, he is the newly appointed Los Angeles City Director for World Impact, where he is actively working on being a bridge builder between Los Angeles and the Faith Based community. Cedric has been married to Karen, for 18 years and they have been together for 20 years. They have 5 beautiful children, Erika, Jonathan, and a set of triplets, Isaiah, Khalid, and Courtney. He loves to spend time with his family, reading, watching sports, traveling, going out to eat, writing, and just having a good time! Get Me Through....The Makeover of My Life is a book for all seasons of life. It will lead you through getting out of the places that you are stuck, picking up the pieces after disruption, and releasing yourself to dream again my the future. Get Me Through is path through life's most questionable moments. The title of the book is purposely open-ended and ambiguous because most people are trying to get through. From Kindergarten to College, people are trying to get through school. Whether you are a high paid executive, entrepreneur, or occupying a cubicle, the daily grind of work and handling life issues is a reality. Still others are trying to get through the seasons of a relationship; the harsh winter or the warm summertime feel that relationships bring. On the other hand, the death of a loved one or the death of one’s self-esteem may seem like, to some, as trying to wade through a cloud of never-ending darkness. Ultimately, getting through is a part of the human experience. At some point, trying to get through is a part of everyone’s process, the only difference is each person’s process is tailor made. Even so, no matter what you are struggling to figure out, you are just trying to get through it with your character and sanity intact. Jake thought he was meant to marry Brooklyn, but now she's pregnant, and he had nothing to do with it. As Brooklyn wrestles with questions about what her pregnancy means and how it will affect her relationship with Jake, she can't bring herself to tell him the truth. To make matters worse, if the man who owns the bookstore across from Jake's coffee shop has anything to do with it, the baby will ruin them both. Can Jake and Brooklyn overcome the obstacles thrown in their path, and finally find the truth in God's love and in each other? At the core, this story’s title is the one-word bare truth of each character’s reality. Revenge, payback, responsibility, love, forgiveness, and loss all expose the depth of faith and steer the course toward Justice. Friends from childhood, Jake and Brooklyn can’t seem to figure out what being in love with each other might look like. 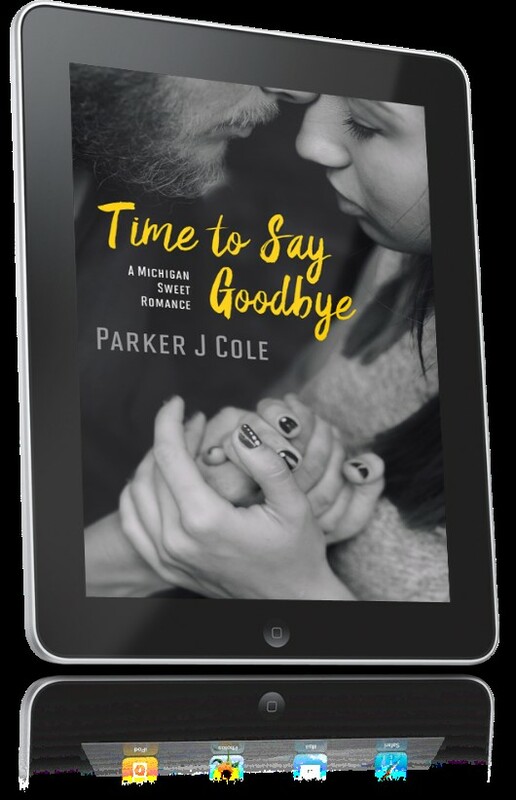 Their buddies and parents all expected them to marry long since, but Jake and Brooklyn explore relationships with others while they learn to navigate the scary world of responsible adulthood. When the time is finally right for them to move toward each other, crisis inflamed with outside jealousy steps between them. It takes ever-maturing belief to weather the storms, and a lot of help from their friends in an attempt to step back and find the bigger picture. Jake is a driven young man, full of life and faith, overcoming the devastating death of his father and rising above to operate a popular business while making a difference, or trying to, in the lives of young people at church. Jake tries to follow in the footsteps of his bigger-than-life father, as well as fight the good fight of faith and hormones in the teenagers he wants to influence. He just can’t seem to work up the courage to show his longtime female buddy how he feels. Brooklyn is a naïve young woman who tortures herself by living in the shadow of her dysfunctional and cruel mother. She tries to convince herself that she’s not good enough for anyone, especially God, but has the sense to reach out to a wonderful group of women role models and finally, the person she’s leaned on for most of her life, Jake. When everything goes south, it’s grow up or shut up time. Jake falls back on his deep-seated anger while Brooklyn begins to understand the meaning and sacrifice of forgiveness. Watching their journeys crisscross and wander is a delight. Well-done. Most of the side stories are woven beautifully into the thread of the story; the biggest one, that of the business competitor, feels a little like a shiny thread that is rough against the grain. While it’s more realistic to be on the side of the victim and not truly understand the hows of the vengeance-seeking little demagogue, I am left feeling a little puzzled. It’s like the scratchy tag on the inside of your shirt. Jake has some growing-up to do, and his business rival helps him learn, on a lesser scale, the lesson in forgiveness that Brooklyn is teaching him through her own faith expedition. Told through multiple viewpoints, this debut novel is rich in Christian faith portrayal, and not shy about the depth and realities of sin. The characters have great dialog and emotional depth which spoke to me. 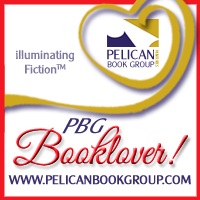 Those who read deeply inspirational romantic fiction will find much to love about Justice. 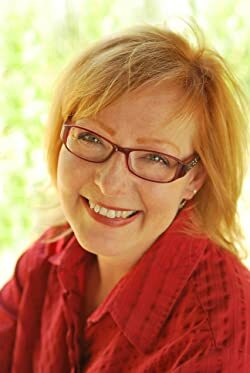 Emily Conrad writes Christian fiction. She lives in Wisconsin with her husband and two 60+ pound rescue dogs. Some of her favorite things (other than Jesus and writing, of course) are coffee, walks, and road trips to the mountains. She also blogs and offers free short stories at EmilyConradAuthor.com. 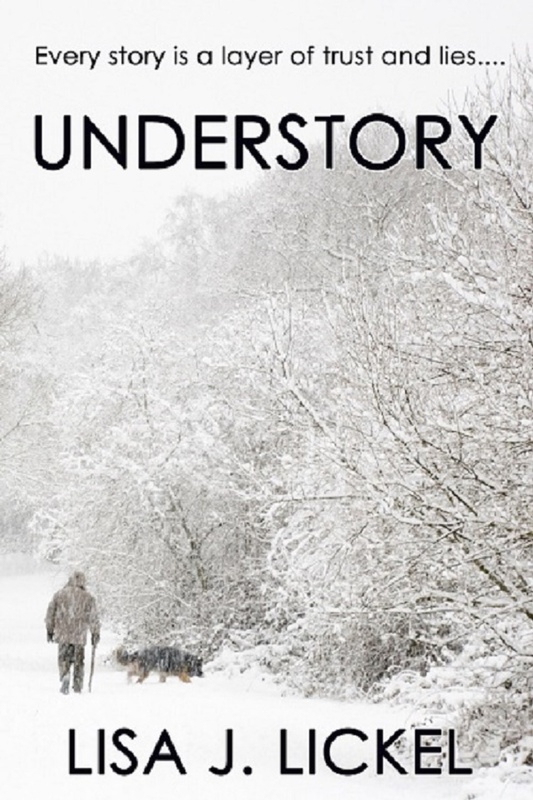 Currently, the first book of the 4-book serial story is free. 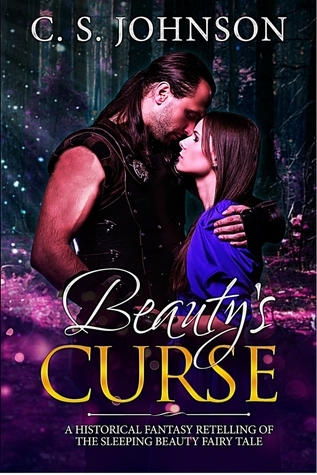 Enjoy this novella series retelling of the Sleeping Beauty, with new characters, new plot twists, and plenty of action and adventure. Perfect for teen and young adult historical fantasy readers, and check out Part II, "Beauty's Quest," as the story continues! A caveat: this is not a stand-alone book, but the first of four. It’s a questing story, and this book sets up the search. If you don’t like investing in characters only to fall off a cliff when you turn the last page, the good news is that all the books in the series are available at reasonable prices, at the time of this writing. Johnson’s twist on the tale of the Grimm’s fairy tale of the Sleeping Beauty, or Briar Rose, is both familiar and new. It’s a hodgepodge of some Disney copycats and a smattering of other tales set in Germanic and Greek-named places. A teenaged lost little cursed princess flees home under the watchful eye of her mother’s guard and her faithful friend knight, Theo, among others. She picks up other lost souls along the way, becomes a self-assured warrior, but reaches the end of her rope when her seventeenth birthday signaling her last year of wakeful life, approaches. Journeying home to meet her father’s challenge of produce an heir before she succumbs to the curse, or formally give up her birthright, spunky Rose chooses her own way—fight the curse, and keep her life her own. The end of book one finds the reader waving farewell to the company of faithful friends off the find a secret weapon. I enjoyed this story. The characters were finely developed, though I struggled a little with keeping like names apart, such as Theo and Thad, the brothers, and their role. I cheered for all of them, but had to remind myself this is still a new adult story with teenagers who have plenty of growing up to do. Johnson’s blurry line between nice guys and bad guys makes an interesting twist in the old tale. Those who like fun riffs on a familiar romantic tale will enjoy these stories. Mature writing. I read a review copy for Voracious Readers Only. 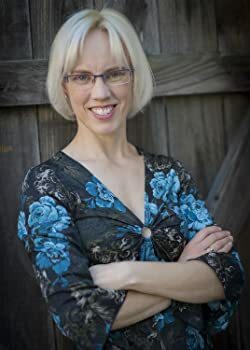 C. S. Johnson is the author of several young adult novels, including sci-fi and fantasy adventures suchas the Starlight Chronicles series, the Once Upon a Princess saga, and the Divine Space Pirates trilogy. With a gift for sarcasm and an apologetic heart, she currently lives in Atlanta with her family. Find out more at http://www.csjohnson.me. Grab your lucky pair of socks, your rabbit’s foot and/or your go-to lucky charm because N. N. Light’s Book Heaven has an incredible giveaway this month. I don’t know if they kidnapped a leprechaun or what, but they’ve got a potful of goodies to give away. 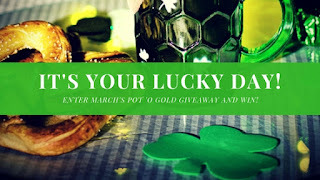 You can win an Amazon gift card, a beautiful St. Patrick’s Day mug, books galore and more. You don’t need to kiss the blarney stone, just have a valid email address. With so many wonderful authors and books available, it's imperative to have a reliable and trustworthy place that can help you choose what to read. It's even better when you get a chance to win free books through a giveaway! 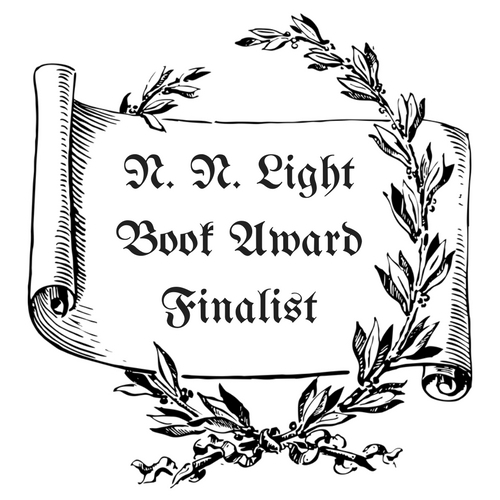 Every month, enter to win free books from multiple authors via N. N. Light's Book Heaven. Several authors are offering their books throughout the upcoming year in this innovative and collaborative approach to building a new and immersive online reading community. Authors, bloggers and book reviewers are partnering to share fantastic reads, quality reviews and powerful connections all in one place. This Giveaway runs all month long from now until March 31. Rabies kills. Can it also cure? Tessa Price, PhD, knows what it’s like to lose a child to an inherited genetic disease. To spare another mother this pain, she invents a radical new gene therapy that might save the life of seven-year-old Gunnar Sigrunsson. Unable to get regulatory approval to treat Gunnar in the US, she takes her clinical trial to the Palacio Centro Medico, a resort-like hospital on a Mexican peninsula where rich medical tourists get experimental treatments that aren’t available anywhere else. When the hospital is taken over by a brutal drug cartel, Tessa hides with a remarkable trio of Palacio clients—rich Texan Lyle Simmons, his much-younger Brazilian girlfriend, and his protection dog, a German shepherd named Dixie, only to learn that gangsters aren’t the only deadly threat they face. A rabies-like infection that began in the Palacio’s research chimpanzees has spread to humans. Tessa investigates and finds a shocking connection to her gene therapy experiment. In the wake of this discovery, Tessa must weigh the value of one human life against another—including her own. Medical thriller describes well this somewhat gruesome novel. Without overwhelming the reader, Rogers spins a tale of discovery, greed on so many levels, and absolutely corrupt power. Opening with a nightmare scene of a bat attack on a tech on a drug run and in deep trouble, the story spirals out of control from the first page and breathlessly leads readers on a terrifying journey of terror and healing. Harsh as it sounded, Dr. Tessa Price is what Administrator Vargas accuses—a medical school washout—one with a needle phobia that nearly costs her life. Refusing the required blood test upon entry to the luxurious Mexican medical resort, the doctor secretly in love with her, Sameer, resolves the matter by falsifying her record. At first Tessa’s visit to the spa to make sure her experimental treatment continues even when the specialized tech is out sick seems like an idyllic break in her messy life. That idyll quickly turns into a nightmare when she is caught up in war between powerful gangs. 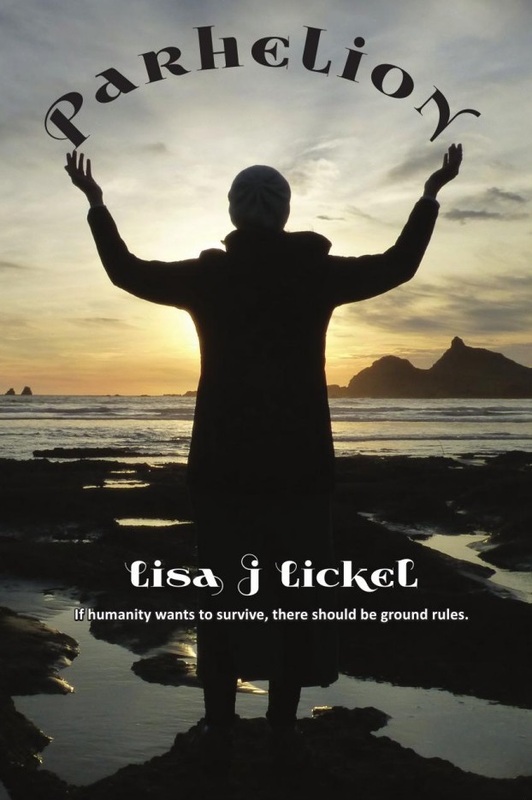 Tessa must come to several self-actualizing truths during her ordeal. Among many of her issues, needle phobia is the least is the least of them when she learns exactly what has happened with her research. She shows her true mettle when she learns how to operate on the fly, and what the depths of true, selfless love can do. I give this book four stars instead of five because of the author’s habit of annoying switching around internal and external thoughts, and unnecessary sentences fragments attempting to ramp tension when there is plenty without it. Otherwise I thoroughly enjoyed the story and obvious excellent research. I did question whether a femoral arterial bleed can be halted with paper towels and pressure, but as the author has a medical degree, I accepted it. Recommended for those who like rapid action and don’t mind lots of blood and guts. Amy Rogers, MD, PhD, is a Harvard-educated writer, scientist, educator, and critic. Through her book review website ScienceThrillers.com, her publishing company ScienceThrillers Media, and her own writing, Amy advocates for literate entertainment in the form of great stories with real science. 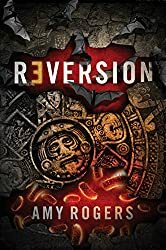 Amy writes thrilling science-themed novels in the style of Michael Crichton (PETROPLAGUE, REVERSION). She also composes a monthly column "Science in the Neighborhood" for Inside Publications. She is a member of International Thriller Writers. Amy loves dim sum, Ted Drewes, redwood forests, lakes with loons, Hawaiian beaches, and cats. She lives in Northern California with her husband and two exceptional children who believe she has an unreasonable tolerance for mysterious things growing in her refrigerator.